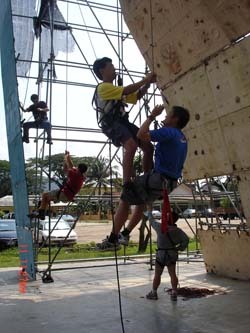 Clinic II (Advance) There will be leaders who climb mountains and leaders who do not climb mountains and each must cut his coat according to his cloth. 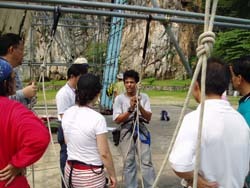 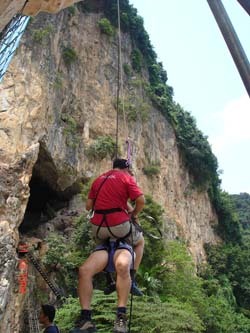 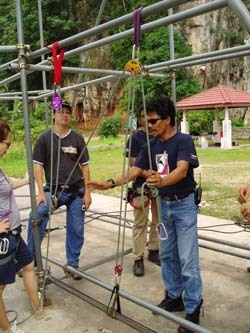 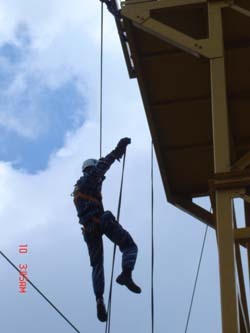 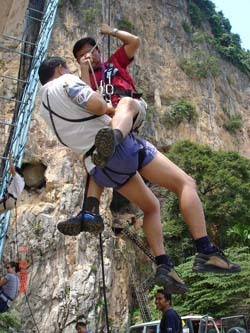 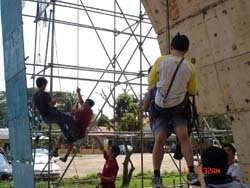 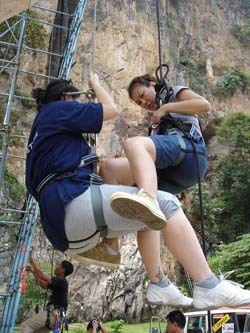 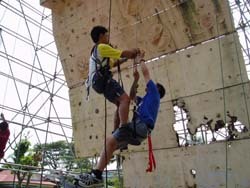 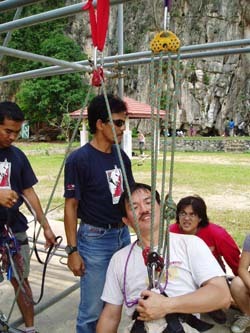 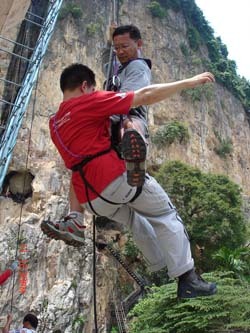 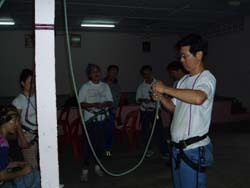 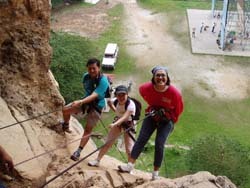 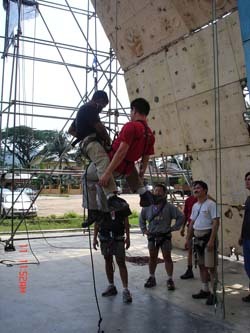 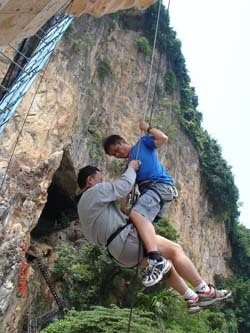 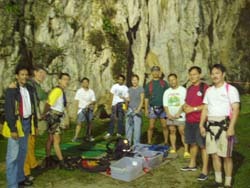 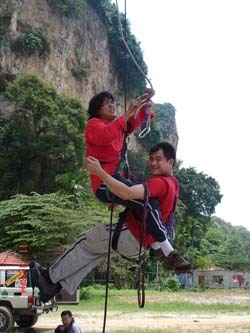 These courses are not intended to train leaders as rock climbers. 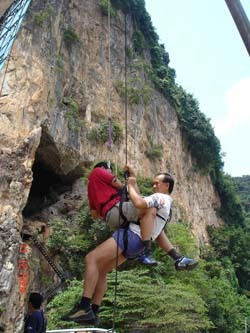 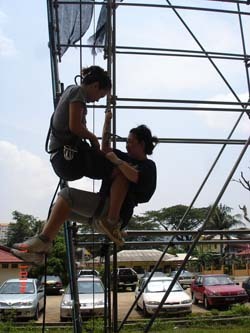 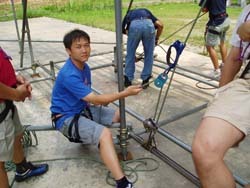 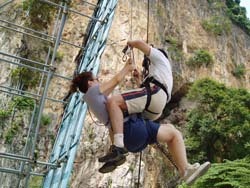 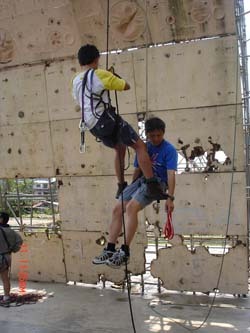 The purpose is to describe any elementary technique which will enable them to appreciate the limit of what should be attempted by a party without a rock climbing experience. 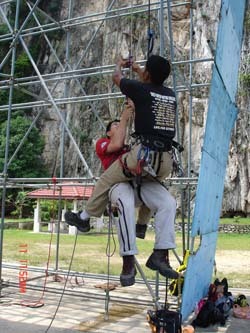 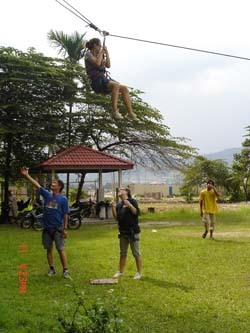 To recognise difficulties and potential dangerous terrain and to give competent help in case of emergency. 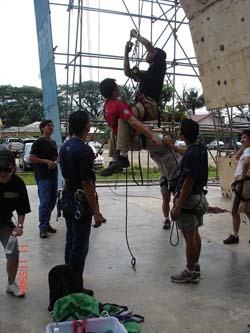 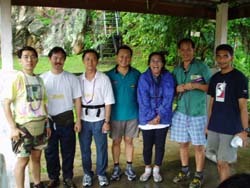 Course fee is inclusive of food ,tent accommodation, insurance, t-shirt and certificate. 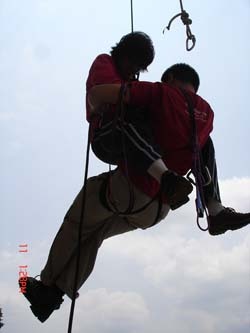 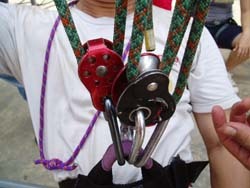 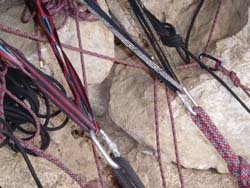 Additional material (i.e: individual prusick rope ) are not included. 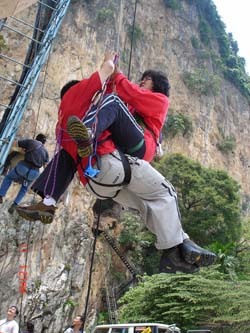 Transportation is under your own account.